JPEG used to be the only and most popularly format for saving images till Apple introduced HEIC file format in iOS 11. This new format saves images in smaller file sizes without compromising on the image quality. 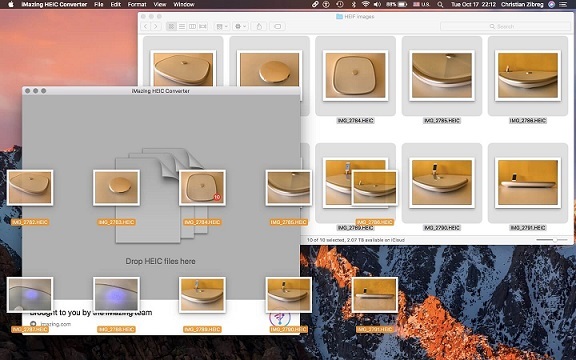 Thus, to view and manage HEIC files, you need a HEIC file viewer. Select “Format” and select “High Efficiency” to view and save images in HEIC format. To be able to view HEIC photos on Mac, you would need to upgrade your Mac operating system to MacOS High Sierra. To view HEIC files on windows, you would need to install a HEIC file viewer on windows. This could be in the form of third-party software. iMyFone TunesMate is complete and one-stop computer software that allows you seamlessly connect and explore your apple device. It allows you to transfer files from your idevice to your Mac or Windows in a quick and easy way. 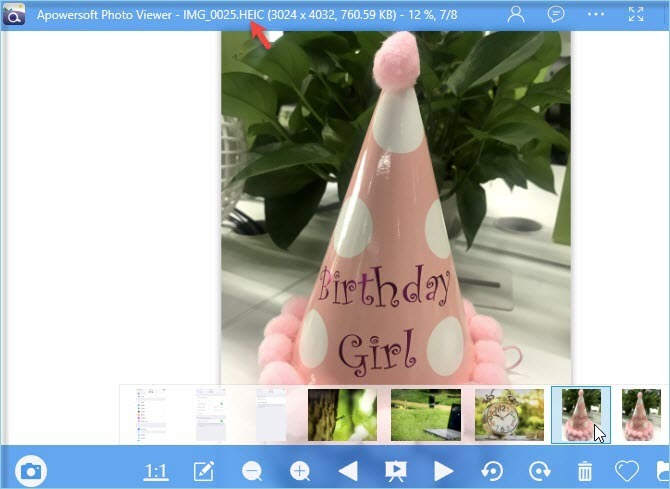 In addition, you can also send and view HEIC file format photos with the iMyFone TunesMate software. Manage iOS 11 Photos: send and sync your images, view photos for free including HEIC formats. Backup your photos on your device and save them on your computer or an external hard drive. Easily Transfer files from your device and computer and vice versa. 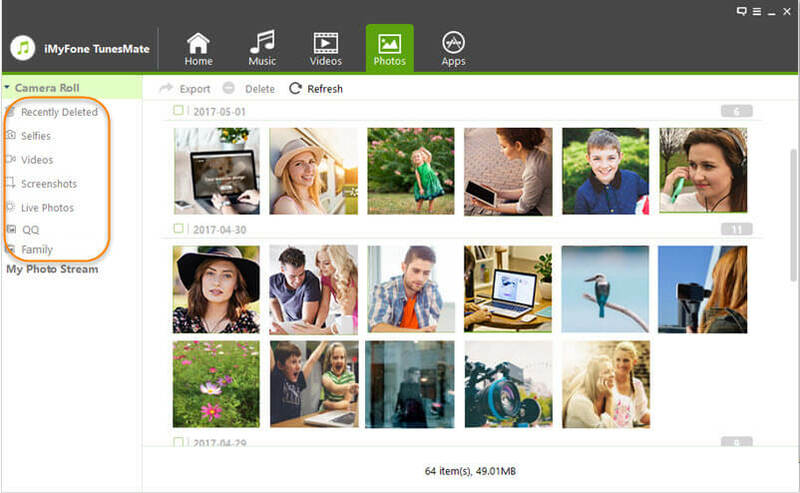 Backup your photo albums and delete multiple photos in just one click. Transfer all kinds of files in different file format like; movies, music, playlists, TV shows iTunes U, podcasts, audiobooks, photos, and much more. Step 1:	Connect your phone to your computer using your USB cable and launch iMyFone TunesMate. Step 2:	Just on the top of the navigation bar, click “Photos” to access your images. Step 3:	Your photos will be sorted on the left navigation with “Camera Roll” and “My Photo Stream” allows a short while for all the photos to come up. Step 4:	After loading, you will see a preview of all the photos on your device, you can view, delete, or transfer. 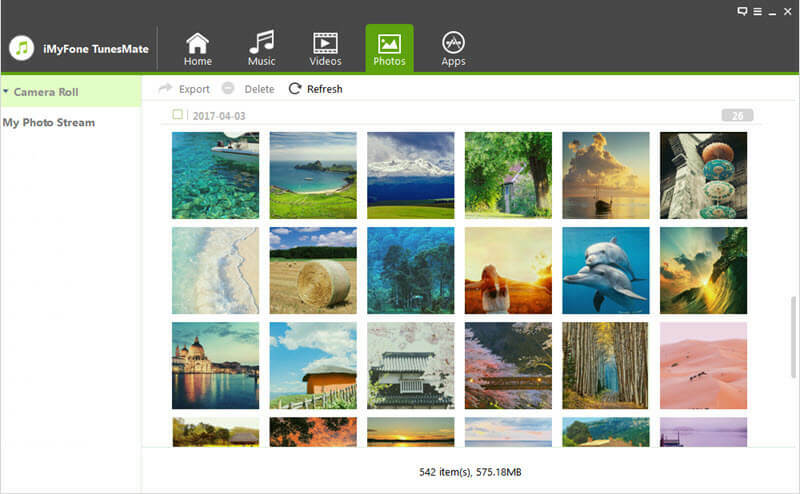 Apowersoft: It is also a free online HEIC File viewer, you can select and upload as many as 30 photos at a time. This allows you to save time while it also maintains the image quality of the files as well. Unique Features such as no sign-up required before you can use it and it deletes the files that have been converted automatically hence securing your privacy sets it apart from other tools. As HEIC file format for the iOS 11 is largely unsupported by many other devices and is not compatible with older versions of Windows and Mac. You can use iMyFone HEIC Converter to seamlessly convert HEIC file formats to JPEG in only a matter of seconds. Converts photo with high speed. Step 1: Download and install the iMyFone HEIC on your computer. Launch it and connect your iDevice to your computer with a USB cable. 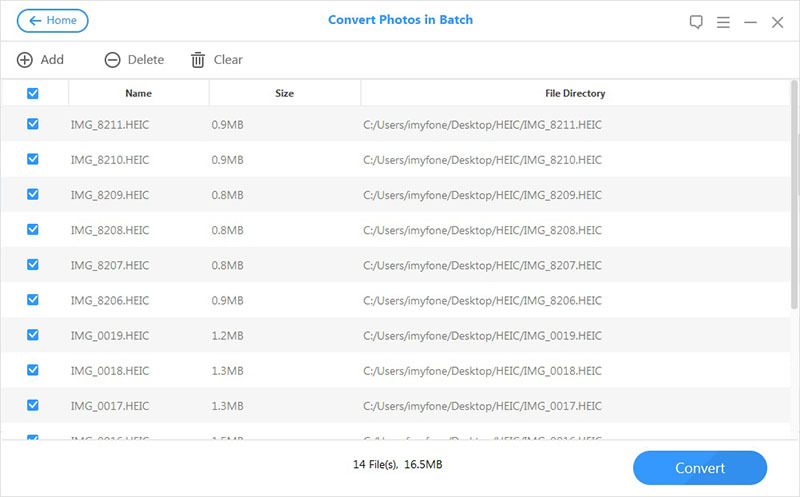 Step 2: Select “Convert Photos in Batch” and click “Start” to begin. Step 3:	Click the “+” button above “Select Files” and select the multiples files you wish to convert by using “Ctrl” or “Shift key”. 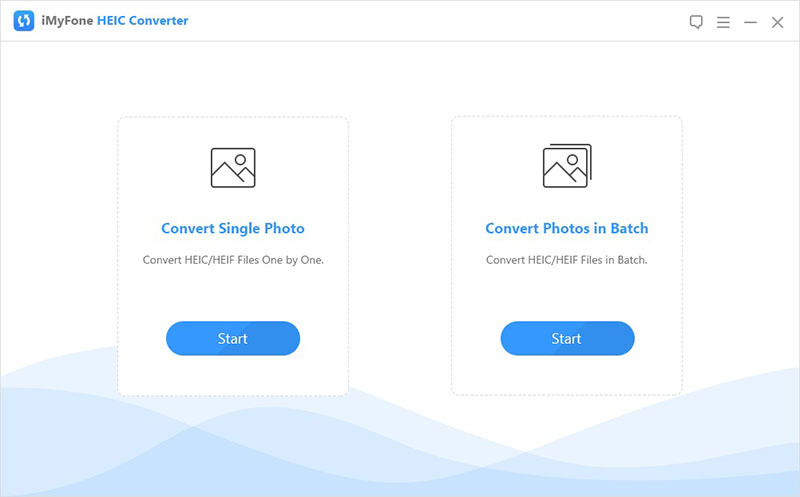 Step 4:	You will see a list of the HEIC photos you want to convert on another interface, select “Convert” to convert the selected images to JPG. Step 5:	Adjust the conversion settings to your preference and select a target folder to save the converted files in. Step 1: Download and open the iMazing HEIC converter on your computer. Step 2:	Make a selection by dragging and dropping a HEIF file or folder containing HEIF files into the iMazing HEIC Translator tab. Step 3: Click convert and choose a preferred storage location.